I love everything about this vintage advertisement from Coca Cola... look at all that amazing turquoise goodness in the hutch! And that equally amazing pendant light! Yes, this is about the cutest ad ever! Thanks for sharing with us! 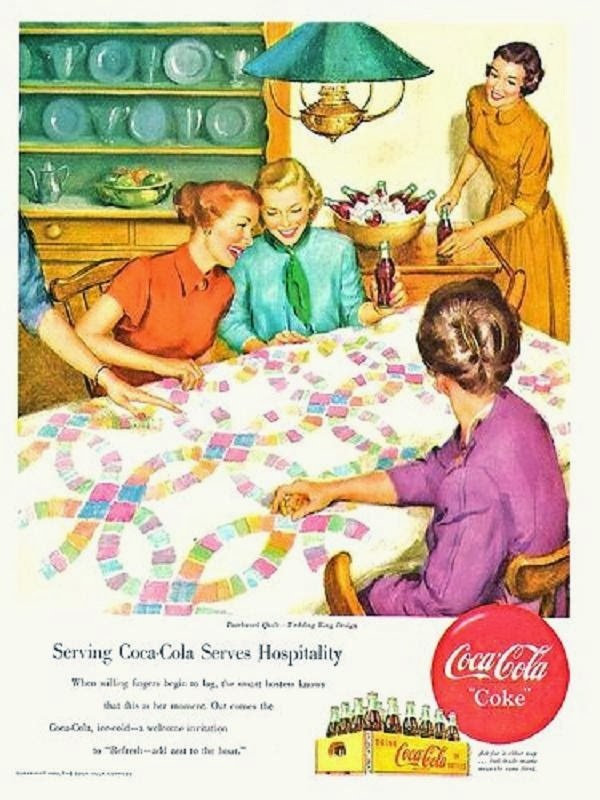 This Coke advertisement is one of the few I found that the girls were modestly dressed. Normally these girls in the vintage cola ad's were a little flashy!